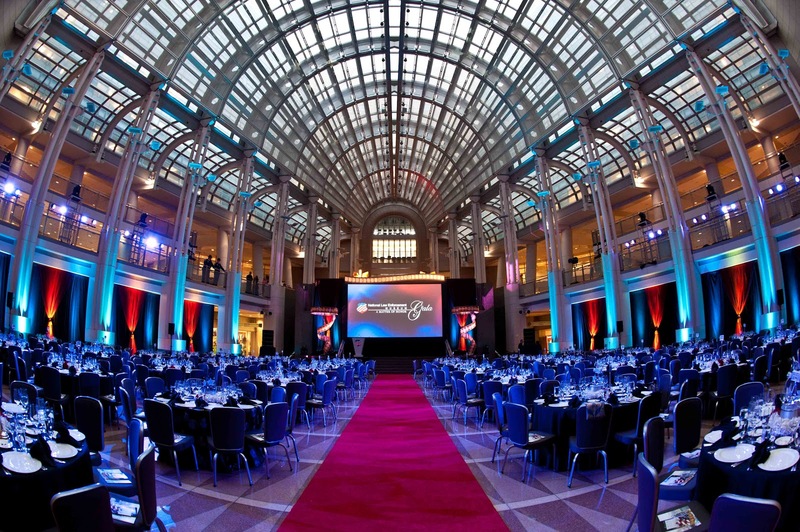 Since the National Law Enforcement Museum’s Groundbreaking in October 2010, the National Law Enforcement Officers Memorial Fund has hosted a Gala each year to raise awareness and funds for the Museum. 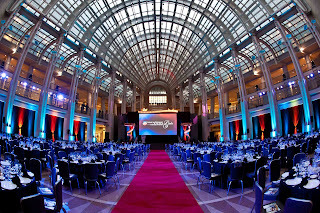 This year’s Gala, held on October 12 at the Ronald Reagan Building in Washington, DC, focused on an exhibit slated for the Museum called Reel to Real that will highlight Hollywood’s portrayal of policing compared to real-life law enforcement. Given the theme, it was only fitting to have Richard Belzer of Law & Order: SVU fame emcee the event. 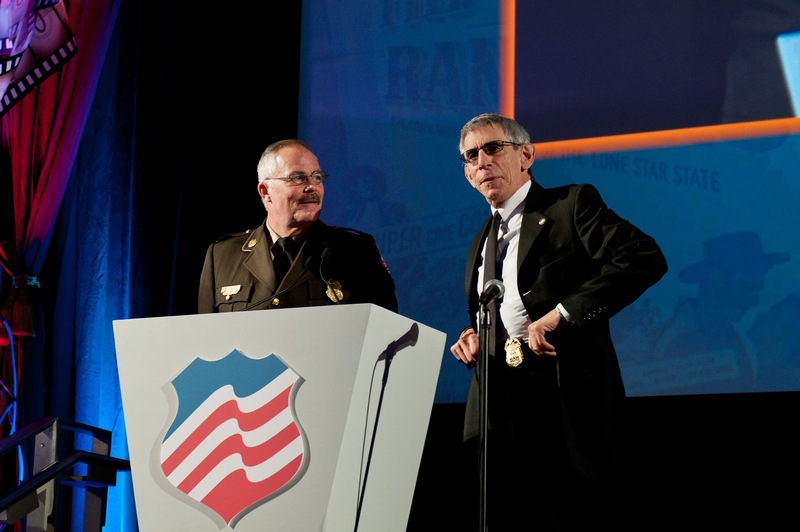 Mr. Belzer spoke sincerely about his admiration for the men and women of law enforcement and the sacrifices they make for our safety. Though solemn in his welcoming remarks, he later sprinkled in some good-natured irreverence in true Belzer style during a bit with Montgomery County (MD) Police Chief Tom Manger, in which he introduced himself as New York City Police Detective John Munch and coyly offered “salary” as one of the differences between “reel” and “real” police work. Chief Manger jokingly fired back another difference as a nod to Hollywood’s propensity for plastic surgery—“real” police do a lot of work and “reel” police get a lot of work done. 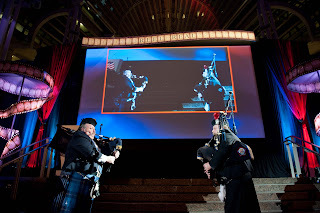 The Gala, sponsored by A&E, BAE Systems, and the Police Unity Tour, among others, was teeming with fun and captivating video clips, poignant remarks, and rousing musical tributes and performances [by United States Park Police Honor Guard; LaPorte (IN) Police Det. Brian Phillips; and Port Authority of NY & NJ Police Department Pipes & Drums Pipe Major Steve Butterbrodt and Metropolitan DC Police Officer Chris Jackson (ret.)]. The Gala also featured a very exciting announcement. 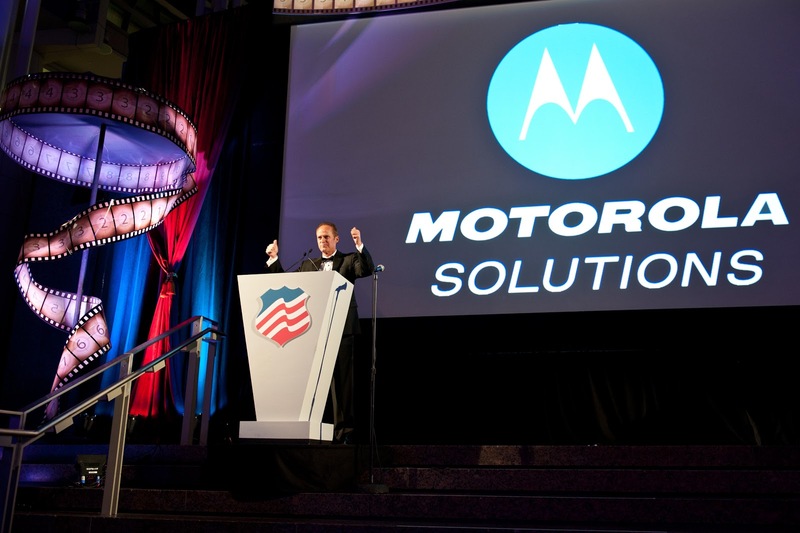 National Law Enforcement Officers Memorial Fund Chairman & CEO Craig Floyd updated guests on the latest in Museum progress, announcing a landmark gift from Motorola Solutions, Inc. and Motorola Solutions Foundation for $15 million, in addition to their earlier $3 million donation to benefit the Museum and sponsor the 911 Mission Critical Communications Center. 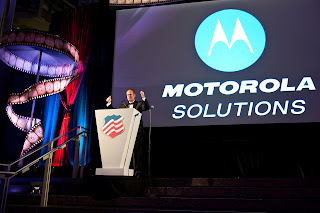 Gala dinner chair, Motorola Solutions Chairman & CEO Greg Brown, recalled the long and rich tradition of law enforcement in this nation and the promising future ahead, highlighting Motorola’s continued involvement with the Memorial and Museum—both deeply special to their corporation. 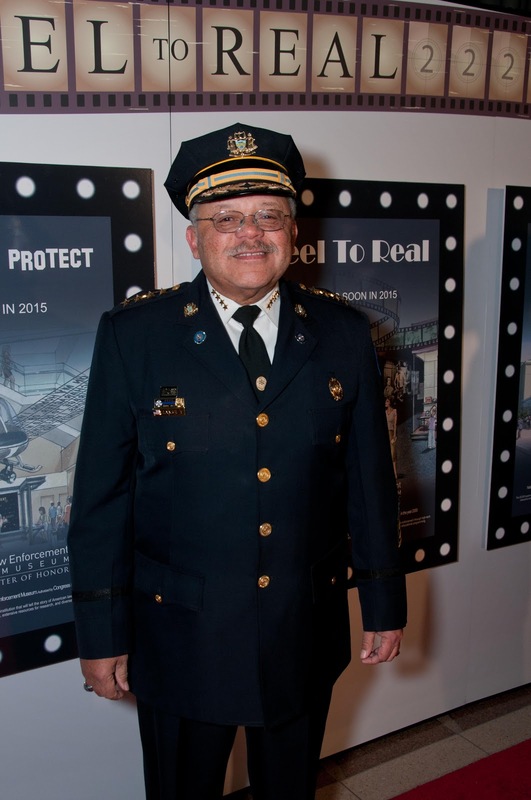 Philadelphia (PA) Police Commissioner Charles H. Ramsey delivered inspiring keynote remarks after a heartfelt introduction from Shirley Gibson, former National President of Concerns of Police Survivors (COPS)—a survivor herself, who said Ramsey befriended her when he was Chief of Police in DC, soon after her son was killed in the line of duty. Commissioner Ramsey stressed the importance of the Museum in preserving the history and legacy of law enforcement service. 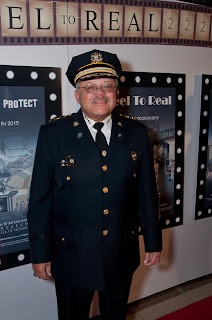 The beloved former DC Chief received a standing ovation at the close of his remarks. The Gala—at once touching, informative, thrilling, and playful—gave guests a taste of what’s to come when the one-of-a-kind Museum opens in 2015. Check out more photos from the Gala here.